One of the things that sets the Weighless approach apart from other weight loss programs is our emphasis on slow weight loss. Instead of coaching our members to lose a couple of pounds a week, we try to hold them to a couple of pounds a month. Crazy, right? And yet there is a method to our madness. Most people can only lose 2-3 pounds of body fat per month. If you’re losing weight faster than that, the rest is likely to be lean muscle. Believe me, that’s NOT what you’re trying to lose. Although our approach may seem like an insanely slow way to lose weight, we’re finding that it’s actually a much quicker (and less unpleasant) path to sustainable fat loss. Interestingly, our members frequently report that after losing weight the “Weighless way,” they look and their clothes fit as if they have lost much more than they have. Losing weight slowly not only preserves your metabolism and muscle mass. It also gives you more time to acquire the habits and practice the skills that will help you maintain a lower weight, heading off the dreaded–and seemingly inevitable–rebound weight gain. It all makes sense, right? But occasionally, someone in the group will ask if there is published research to support the merits of the super slow pace of weight loss we endorse. Fair enough. I’ve built a reputation for being evidence-based, and most of the people who sign up for my programs cite this as one of the reasons they trust my advice. A 2016 study involving almost 60 subjects found that those who lost weight more slowly lost less muscle mass, which was associated with less weight regain. A similar (but longer) study dating back to 1994 compared the effects of “fast” vs. “slow” weight loss and found that the fast losers lost more weight initially but were much more likely to regain it. 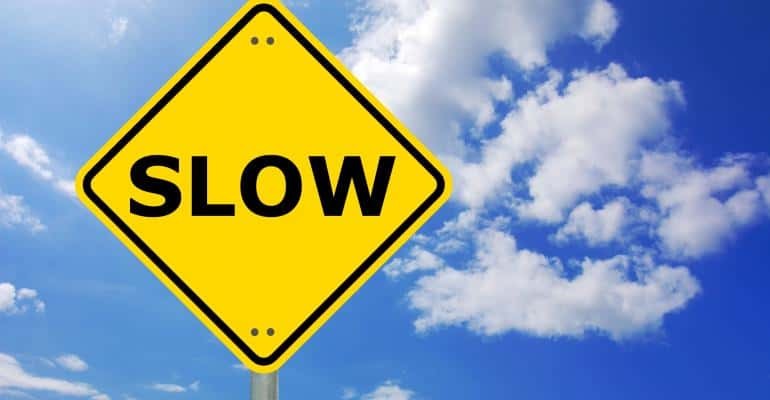 The problem is that virtually all of the studies that compare fast and slow weight loss define “slow” as 1-2 pounds a week, which is still too fast by our standards. There’s this 2008 study which found that small, cumulative changes in diet and activity (similar to the approach we use in Weighless) produced slow but sustainable weight loss–and was ultimately far more effective than giving people standard weight loss advice. At the other end of the spectrum, the famous (and heartbreaking) “Biggest Loser” study demonstrates just how much damage fast weight can do to your metabolism. After six years, virtually all of the contestants had regained every pound (and more)–despite continuing to eat fewer calories. Our approach is certainly informed by research–but it also draws heavily on our experience and common sense. And although we are not (yet) conducting a controlled trial, the results we are seeing and the feedback we are getting from our members are enormously validating. I think we’re onto something here…and maybe the researchers will take notice. In the meantime, we have a new group beginning in just a few weeks. You can learn more here. Many people call a truce with the battle of the bulge at a certain age, and that’s not necessarily a bad thing. Changing a diet has to be something you can stick with long-term because if you return to the way you were eating before, you’ll likely gain back the weight. I hope this information will really help everyone to work on their weight lose plan smartly.